We were absolutely delighted to welcome Canon Dr Stephen Green, the Diocese Director of Education, to St Mark's on Tuesday. The children and staff talked about the fantastic learning that happens here whilst he toured the school. 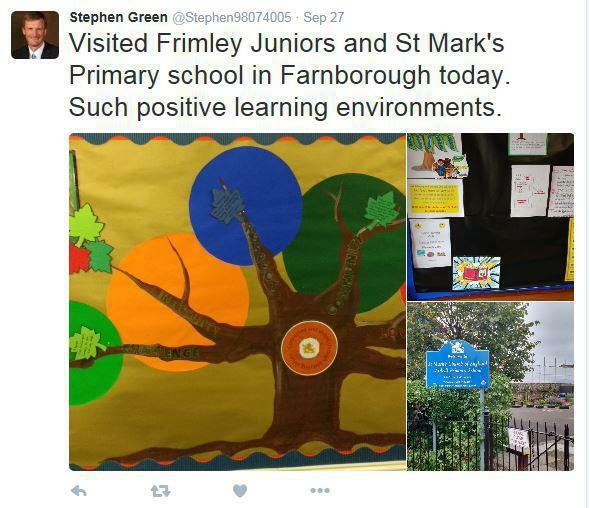 We were so pleased to feature on Stephen's twitter feed following his visit and look forward to welcoming him back to our school in the future.